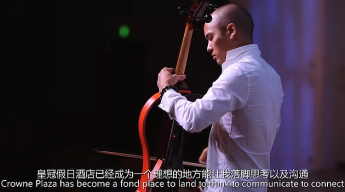 Dana Leong, considered by many to be the world’s greatest electric cellist, has a new video with a purpose that is not to be overlooked! 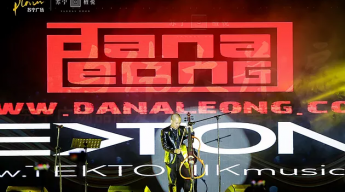 Two-time Grammy Award winning musician, composer, and producer, Dana mastered the cello and is regarded by many people in the industry as the world’s best. Also a master of the trombone, he has been referred to as the world’s top trombone player by members of the world-renowned Balkan Beat Box. Dana travels the world sharing his music that spans across multiple genres. His distinctive sound is an emotionally mesmerizing combination of electronic rhythms and uplifting traditional global tapestries. Originally based year-round in New York, last year he decided to divide his time between New York and Shanghai to tap into the energy driving Asia’s revival of content and software that is both exhilarating and electrifying. As a result, Dana brings TEKTONIK to China and Asia, and teams up with Sproutworks to focus on music, food and fitness. Together, they share an exciting short video. TEKTONIK is a global arts-based lifestyle brand that unites creatives around the world to combine art and music to assemble creative and healing energy. They started in disaster zones and now they are going global, exploring what they can do with creatives around the world in public places to heal with music and art. With Dana, their goal for music goes well beyond just enjoyment. They believe music will have a bigger role in health care and wellness, assisting with relaxation and stress reduction. As Dana and TEKTONIK identify new channels for healing music, they stress the key to a happy, successful life is how you treat your body from the food that you eat to the way you work out. Fitness is essential to live a long and healthy life, not only for performers but for everyone to perform at their A level. Olive Branch, the fitness facility where Dana works out, also shares his vision about music’s role in fitness and healthy wellbeing. 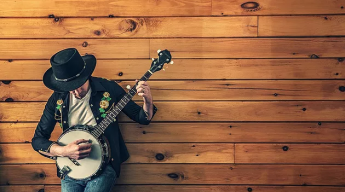 ‘Music can be a huge motivator and help with the right mindset for an efficient and effective workout that pushes you to a higher level.’ Alan said. ‘While workouts can be hard, they are also energizing. 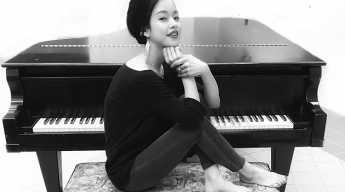 So eating healthy is important after a good workout.’ Sproutworks, the healthy chain restaurant in Shanghai and Beijing, and one of Dana’s favorites, understands the relationship in between food and music. They design a restaurant based on an entire experience from when someone walks in to when they are eating. They understand support the mission and purpose to create healthy food and global harmony, and share it with others to experience it. The message and purpose of Dana’s new video is clear and important. 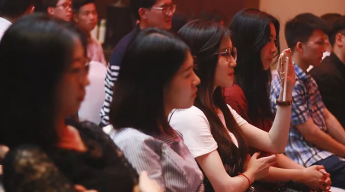 Special thanks to Kim, Founder of Sproutworks; Alan Leung, Founder of Olive Branch; and Michael Newman; Yi Zhou Event Chair of Harvard Alumni Club Shanghai.